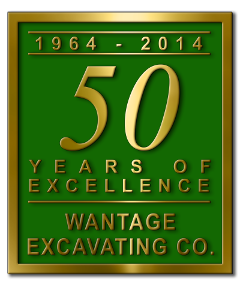 Ever since we were established, in 1964, we have taken pride in being one of northern New Jersey's leading excavating contractors. 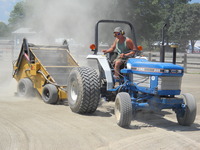 It is our goal to provide competitive pricing and top quality workmanship with the latest technologies and materials. We are committed to excellence and stand behind each project, which is reflected in the number of our repeat customers. Family owned and operated. Evelyn, Chris and David Vander Groef. In New Jersey we serve the areas in and around Newfoundland, Hamburg, Stillwater, Branchville, Sandyston, Hardyston, Sparta, Hopatcong, Jefferson, Glenwood, Stockholm, Ledgewood, Blairstown, Hackettstown, Lake Hopatcong, Chester, North Jersey, Morris County, Warren County, Sussex County, Newton, Ogdensburg, Lafayette, Fredon, Sandyston, Montague, Netcong, Byram, Sussex, Wantage, Layton, Passaic County.